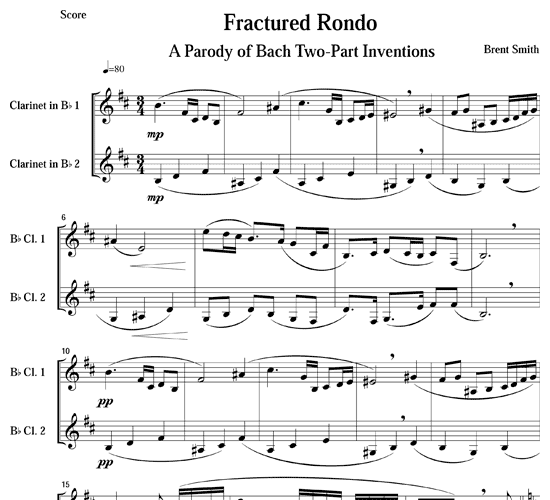 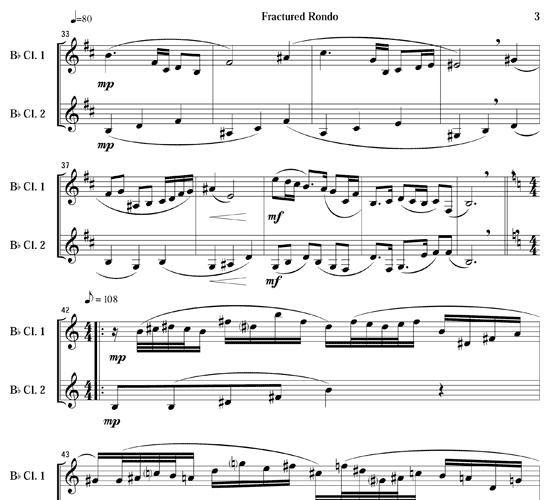 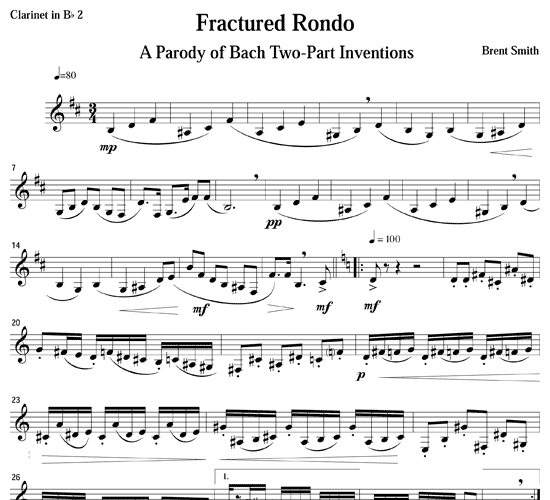 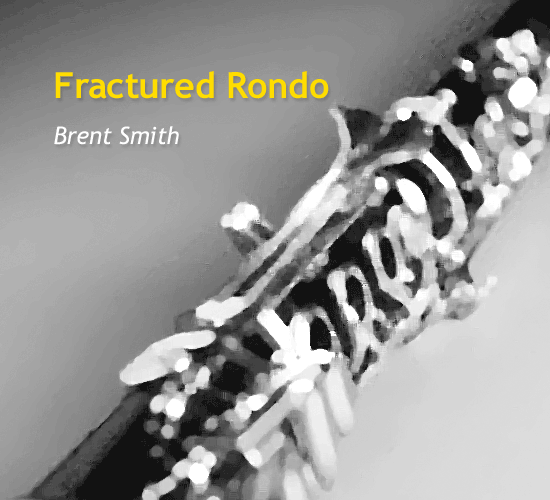 This parody of two of Bach’s Two-part Inventions is in rondo form (ABACA). 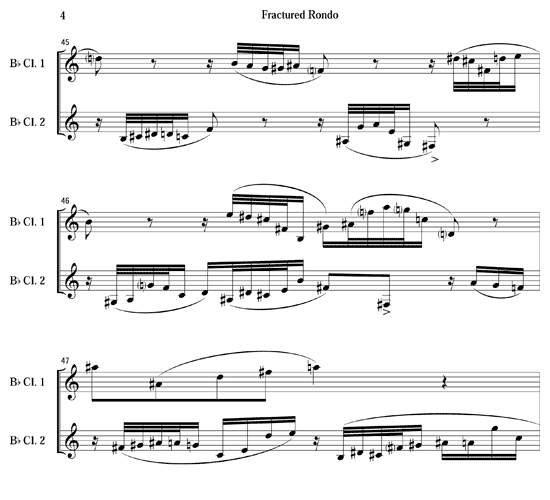 Section B is based on #8 (BWV 779 in F). 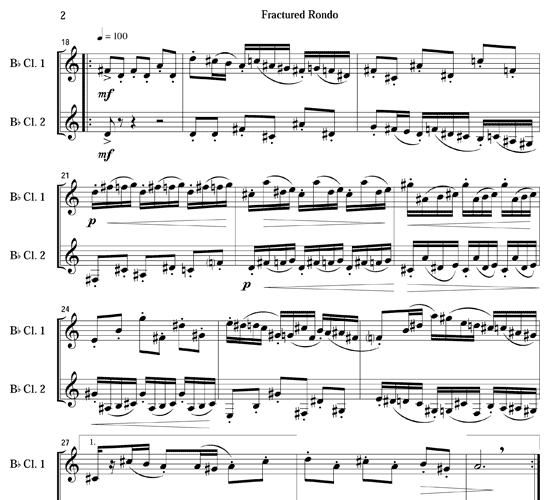 Section C is based on #14 (BWV 785 in Bb). 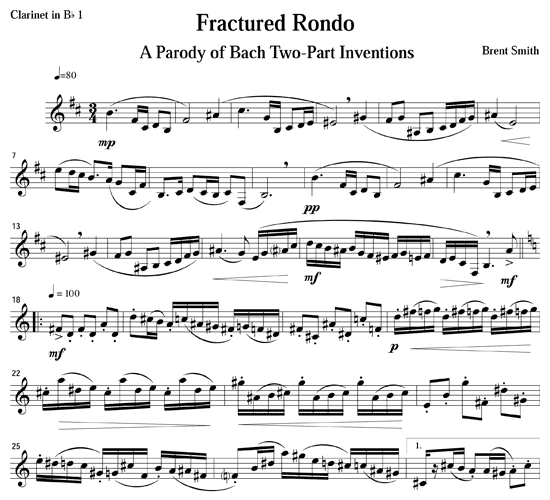 The rhythms are true to Bach’s original, but the notes rather quickly digress into atonality, but are still very listenable. 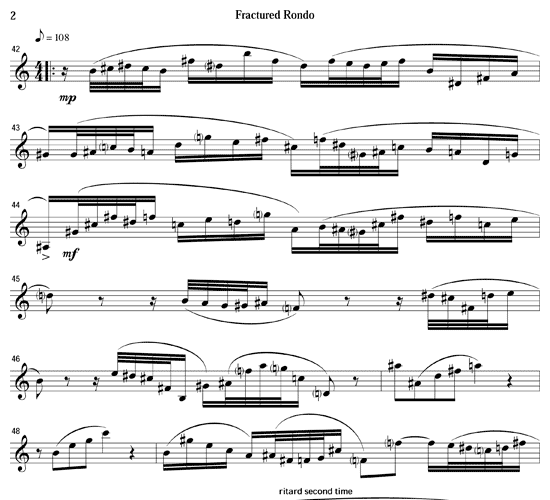 The rhythms and the tessitura (low E to high C with no altissimo notes) are simple, but the notes themselves present challenges if played up to tempo. 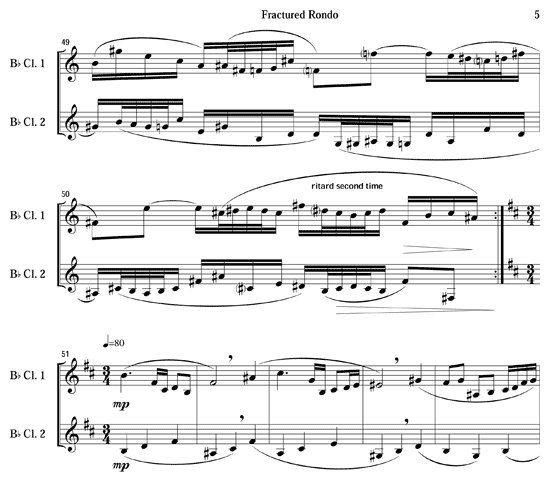 A more stately tempo greatly reduces the difficulty level.